Over the last year to 18 months Support from the Start has had the great opportunity to test out an approach to reducing the attainment gap that puts relationships with, and engagement of, parents front and centre to the approach. 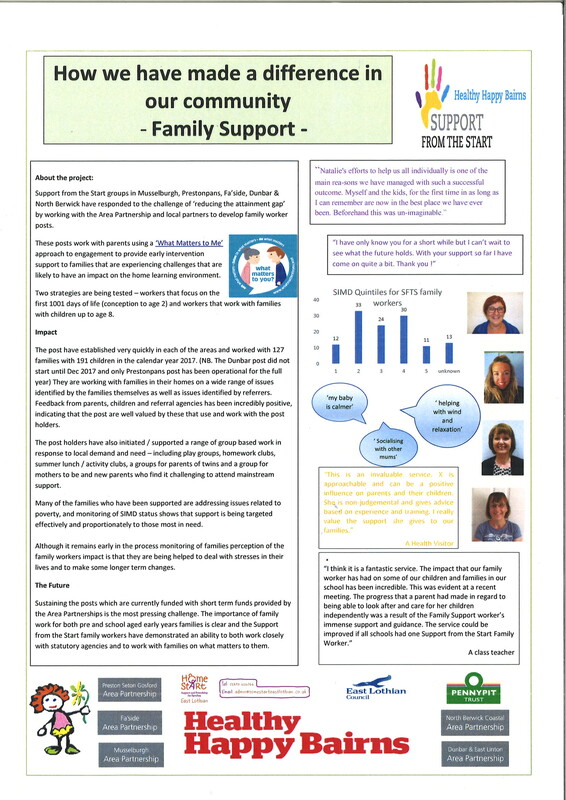 We have developed with the support of five of the six East Lothian Local Area partnership family worker posts that are managed in partnership with voluntary sector organisations. 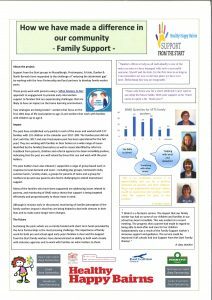 The poster below gives an overview of the work and further posts will focus on the individual monitoring reports for the posts.